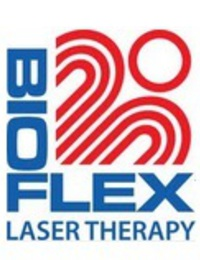 Cold laser therapy, also called Low Level Laser Therapy (LLLT), is used to eliminate pain, accelerate healing, decrease inflammation and tissue repair. Treatments are painless, effective and the benefits are long lasting! The laser light source is placed in contact with the skin allowing the light energy to penetrate tissue, where it interacts at the cellular level resulting in restoration of normal cell function. Used to treat conditions such as: ligament and tendon tears, plantar fasciitis, carpal tunnel, frozen shoulder, arthritic conditions, wound healing, disc herniation, and so much more! If you are not a current patient of Dr. Tater’s, you will be booked for a brief assessment to diagnose what will be treated. The treatment is conducted by a certified laser technician, and can be billed under Chiropractic benefits if you have an extended health plan.